One Day of Work. Generations of Benefits. 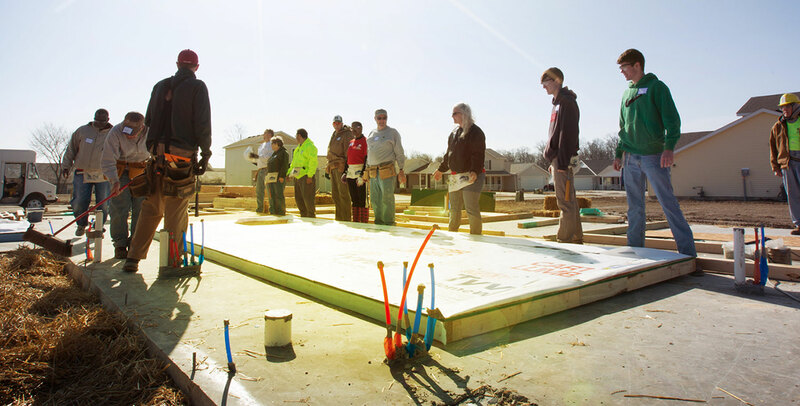 Habitat for Humanity depends on volunteers to carry out its mission in the community. Whether you are raising walls and hammering nails, serving on a committee, volunteering at the ReStore or providing meals for people on the job site, no task is too small to demonstrate God’s love by helping Habitat. Click on the Volunteer button below to see opportunities available or email us at volunteer@habitatgfw.com.